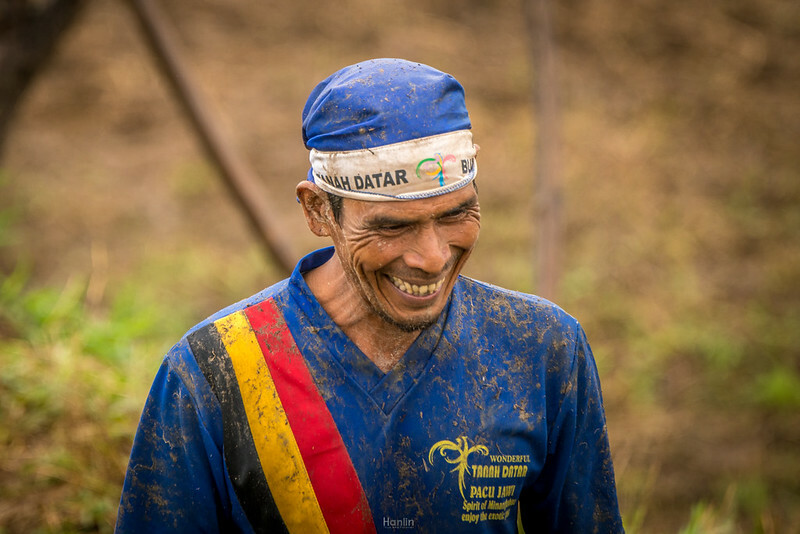 Pacu means race and Jawi means cow or bull or ox . 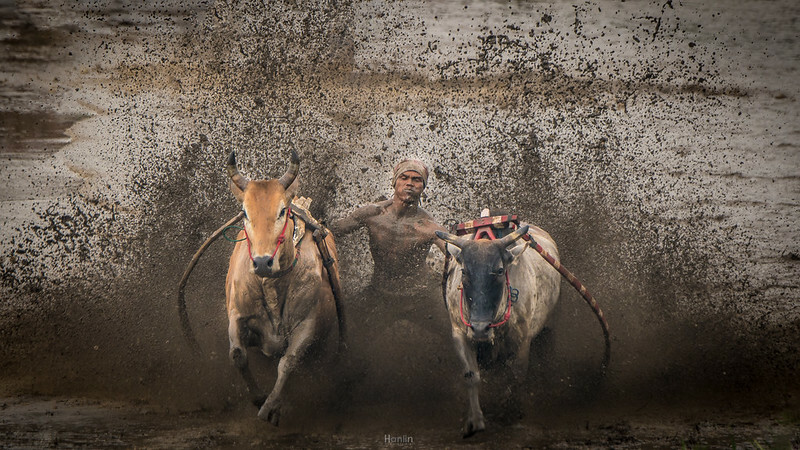 Pacu jawi is a traditional cow race in Padang, West Sumatra – Indonesia that taking place in the Tanah Datar regency. 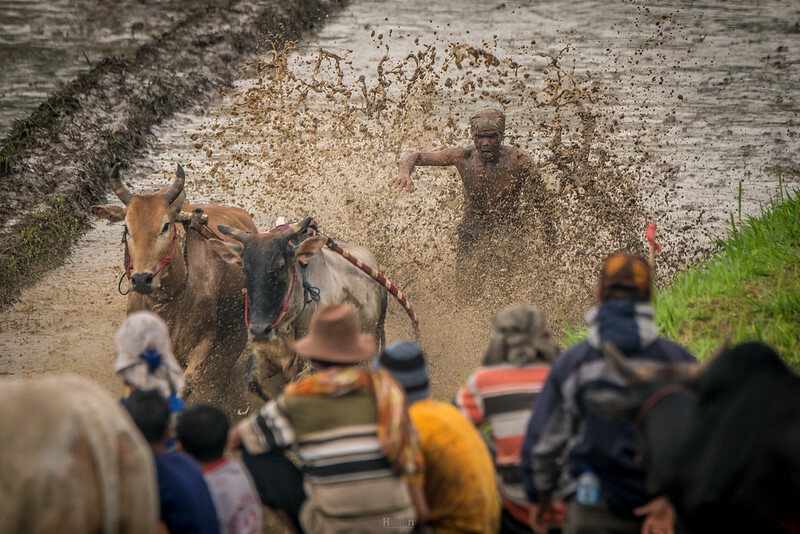 Pacu Jawi has become a celebration and part of the cultural community. 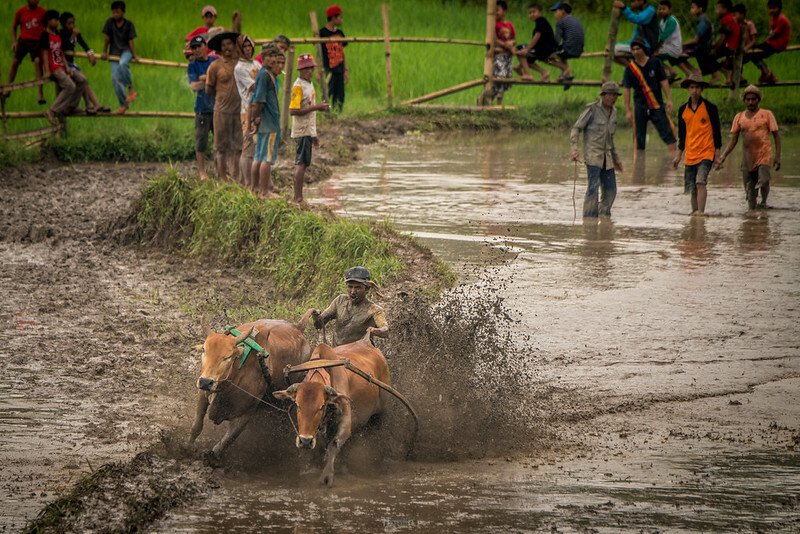 Formerly, Pacu Jawi just as an entertainment activity before the rice planting season arrives. 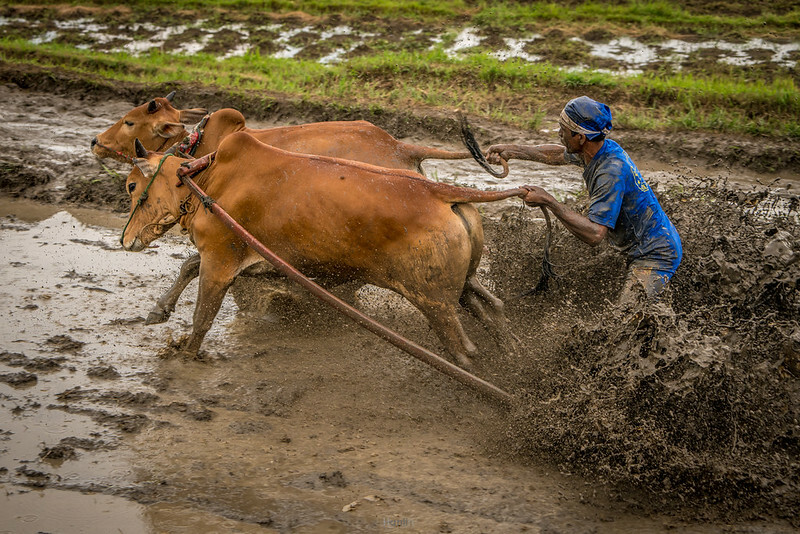 When muddy paddy field before planting rice, then the community spurred his cows. 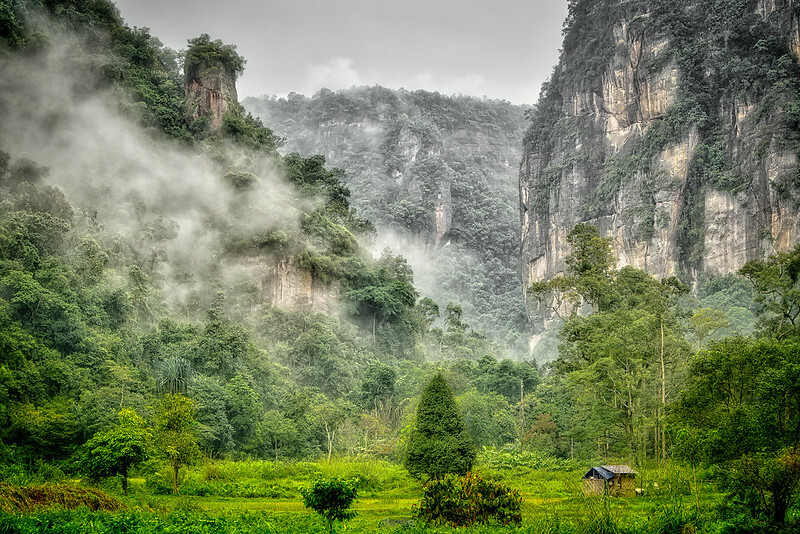 Gradually these activities increasingly popular and has now become a tradition, celebration, culture is even more elevated it into a tourist attraction. 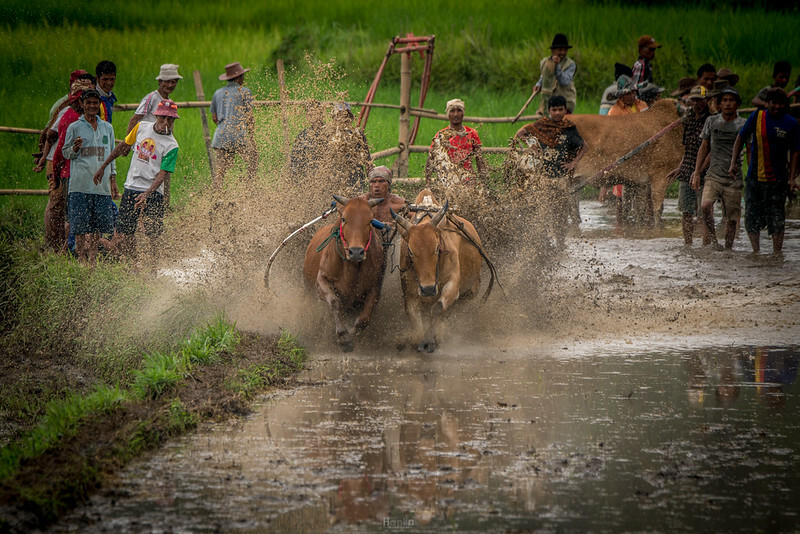 Pacu Jawi is said to have originated from a small town called Batusangkar, the capital of the Tanah Datar Regency. 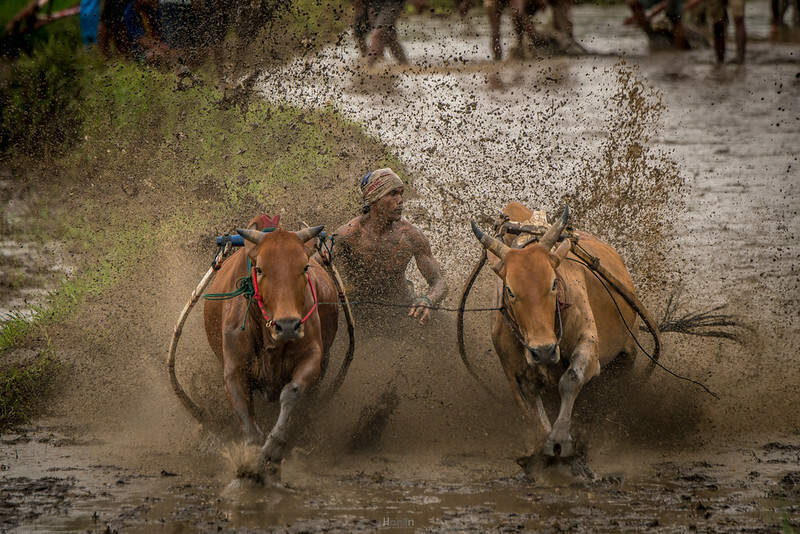 The highly thrilling sport was invented more than 400 years ago as a thanksgiving ritual to celebrate the end of the rice harvest as well as an entertainment activity for the locals before the start of the new planting season. 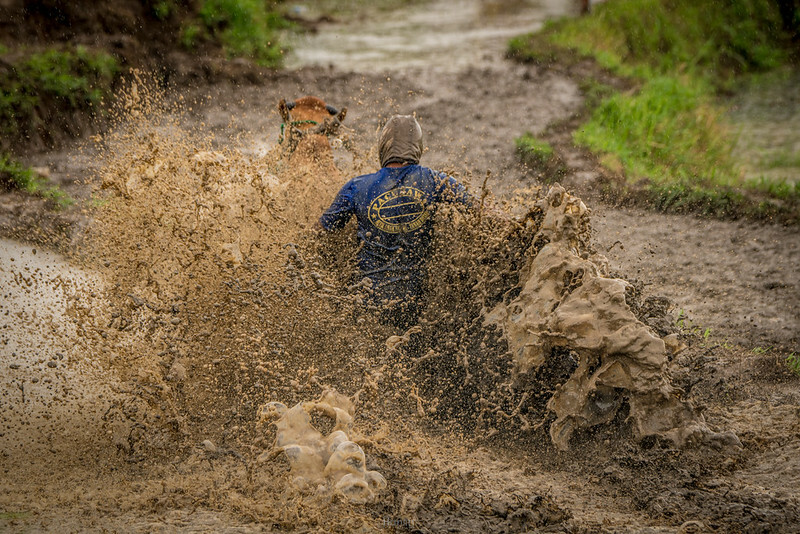 The race usually will held on Saturday. 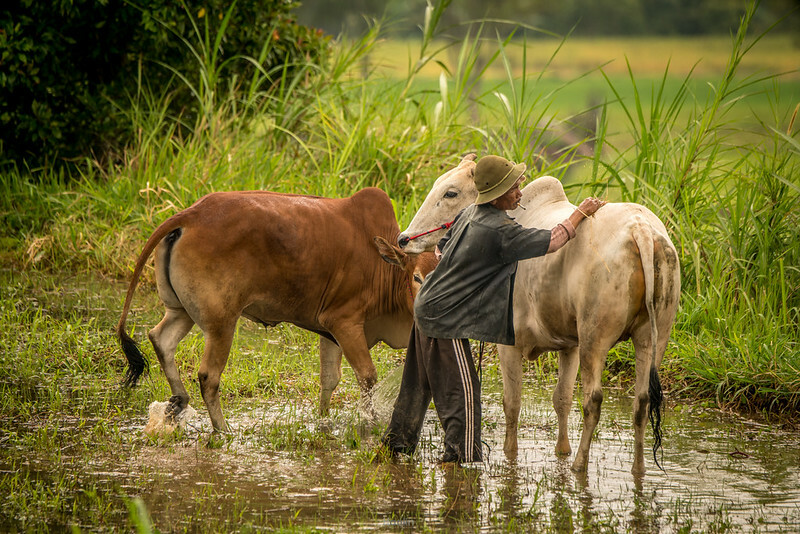 A regular cow that’s bred for daily consumption costs about S$500 – S$700, but a Pacu Jawi racing cow can cost at least twice the regular cow. 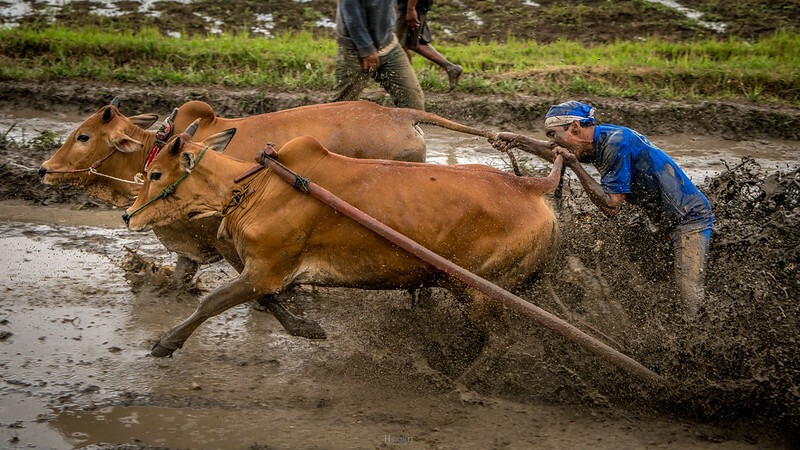 There are even racing cows that can cost up to S$3000 to S$4000. 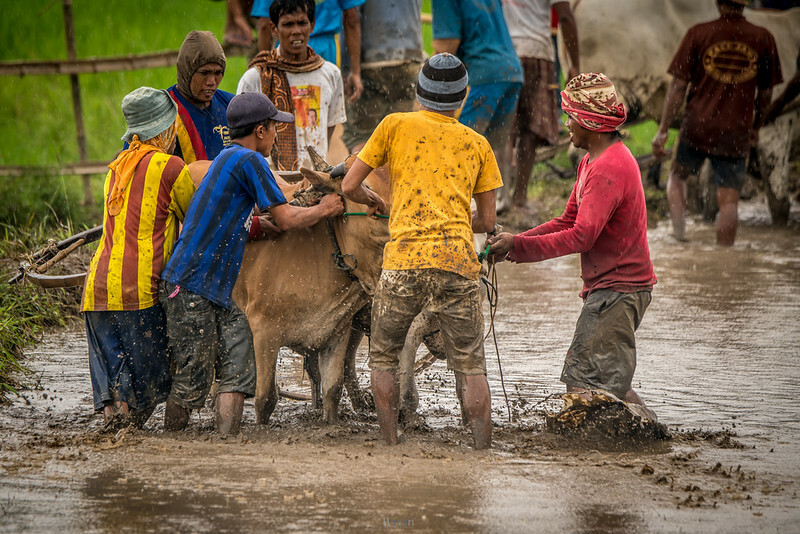 A number of 6-8 men are needed to rein the cows and hold them in position while the jockey is getting ready. 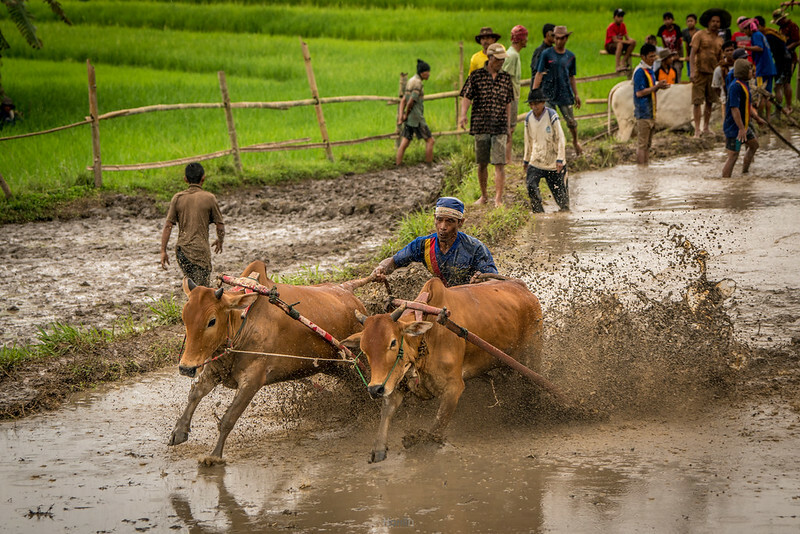 The muddy field for Pacu Jawi usually about 20-30 meters long. 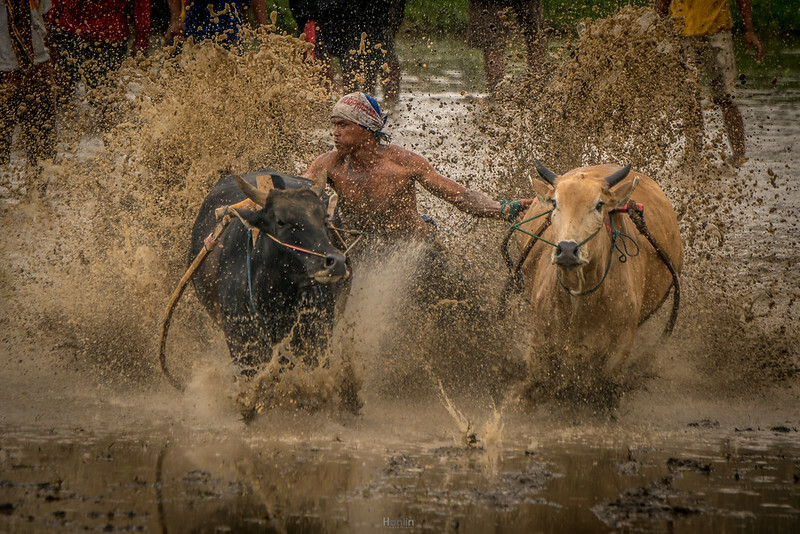 As soon as the crew lets go of the bulls run for their lives dragging the jockeys through the splashing mud. 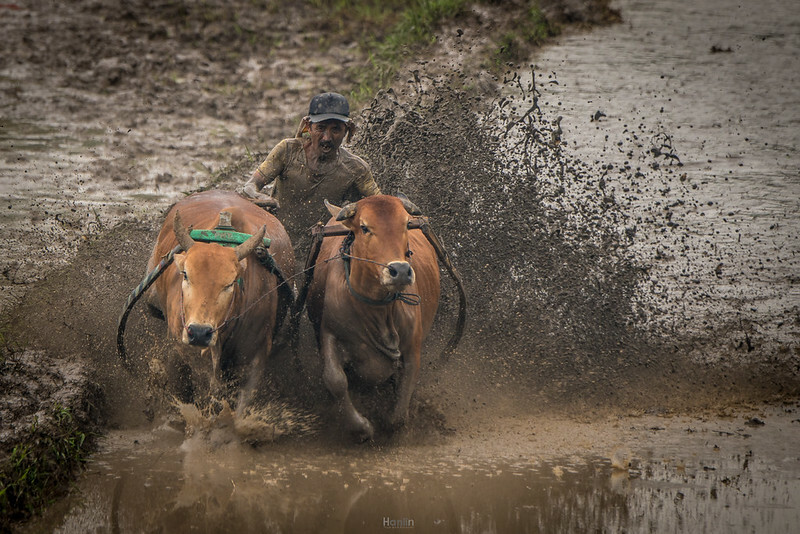 The cows that run the fastest and straight till the finishing line are the winners. Balancing on thin wooden frames that are attached to the animals. 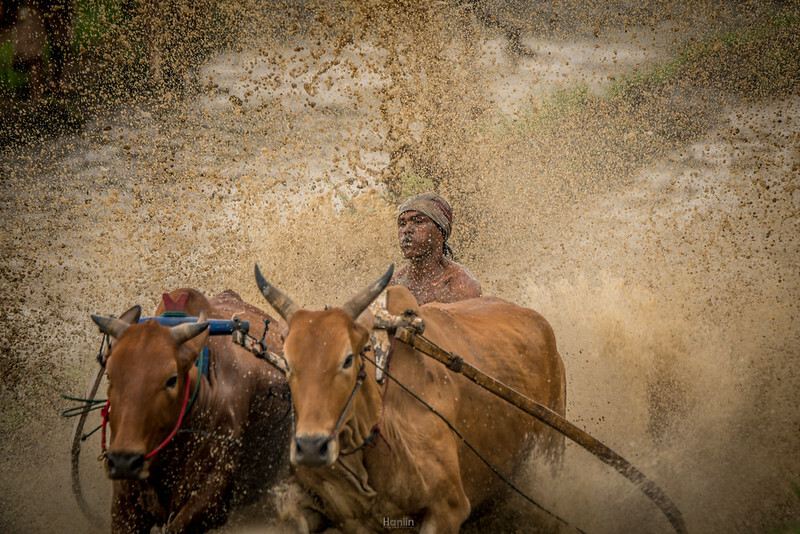 The best cows are not only sturdy and strong but run straight and fast, attributes which attract a higher price. 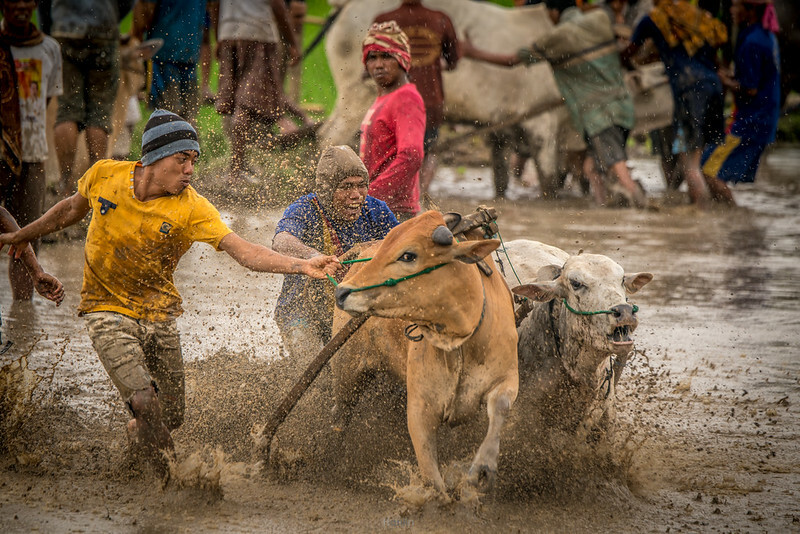 The festival of cow racing celebrates the end of rice harvesting season by the Minangkabau people in West Sumatra, Indonesia. 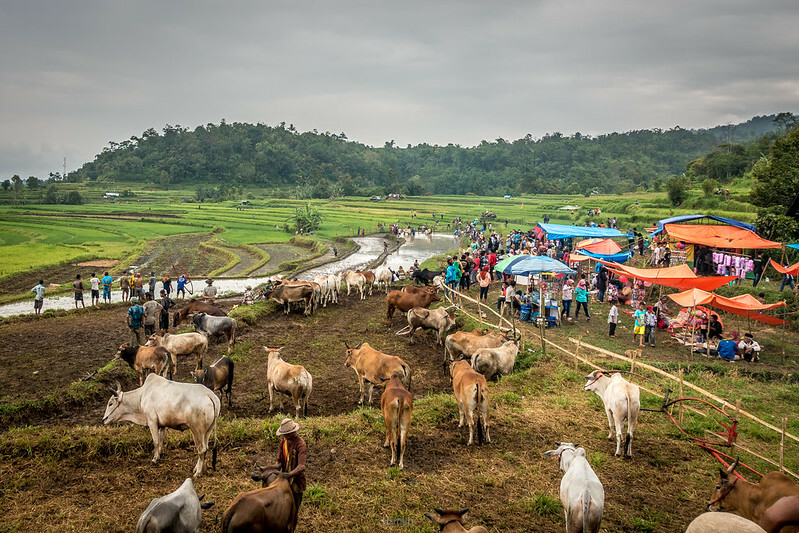 While the race has become part of Indonesian culture, the main purpose of the Pacu Jawi is for sellers to exhibit the strength of their cows to potential buyers and competitors head off across the paddy fields attached to pairs of animals. 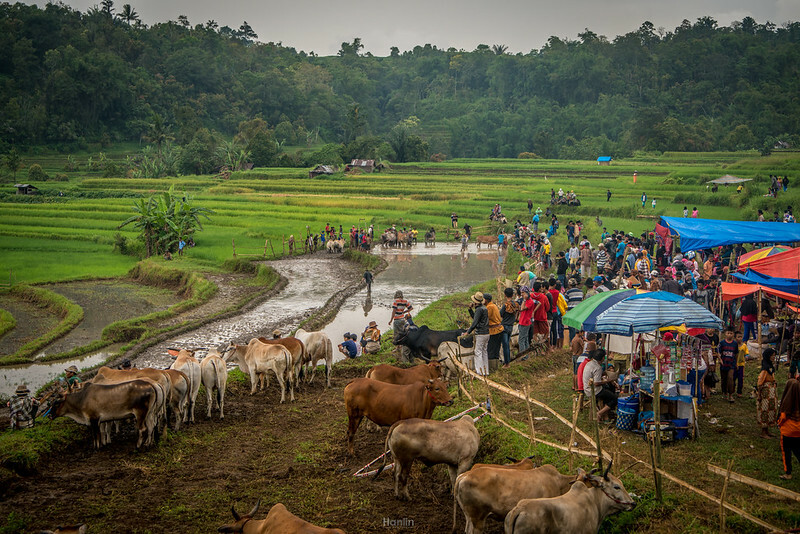 After each run the cows are cleaned and herded into a display pen for the buyers to make their choice. 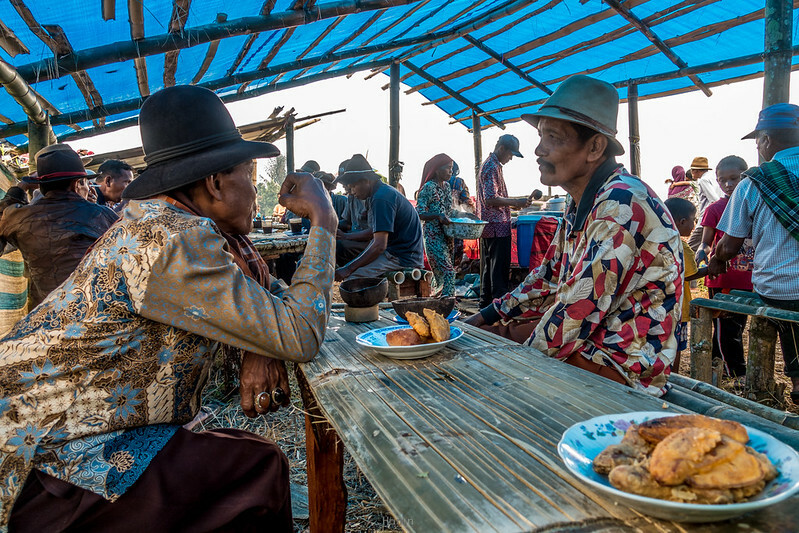 Some of the buyers and owners. 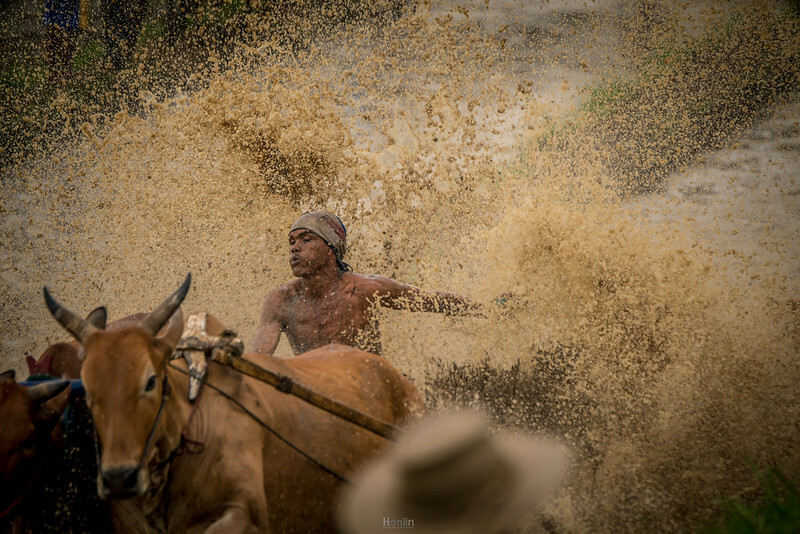 The jockeys hold on tight to the bull’s tales trying to keep them in a straight line. 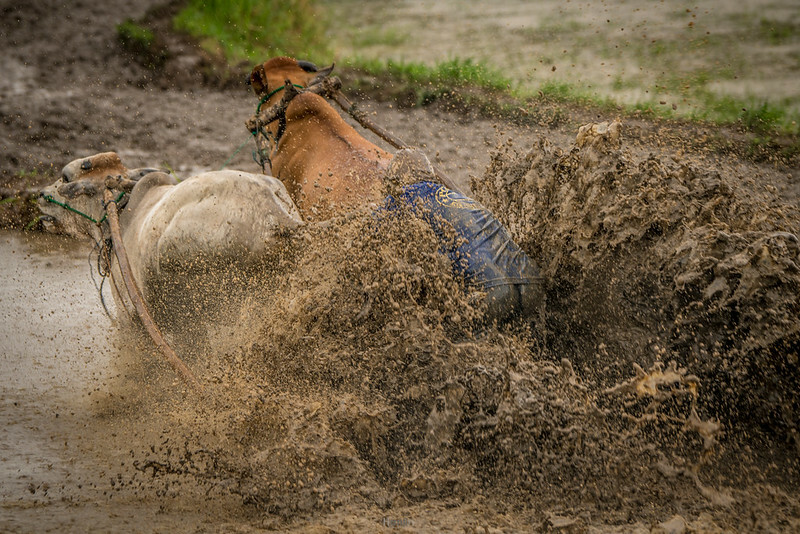 With their hands busy holding on tight, jockeys encourage their steeds to go faster by biting their tails. 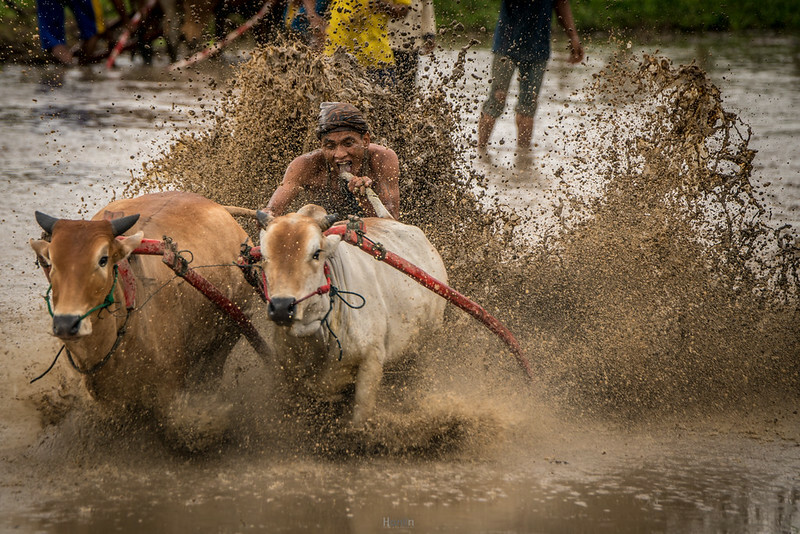 Since both hands are occupied to keep the animals under control, the jockeys can only user their teeth to bite the bull’s tales in order to make them go faster. 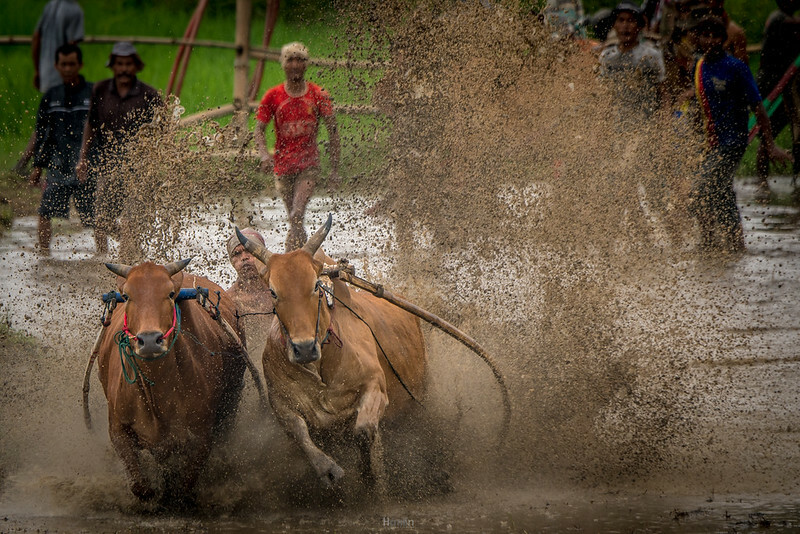 This is one of the big challenges in this reckless sport as the two cows are not fixed to each other and often tend to run in opposite directions. 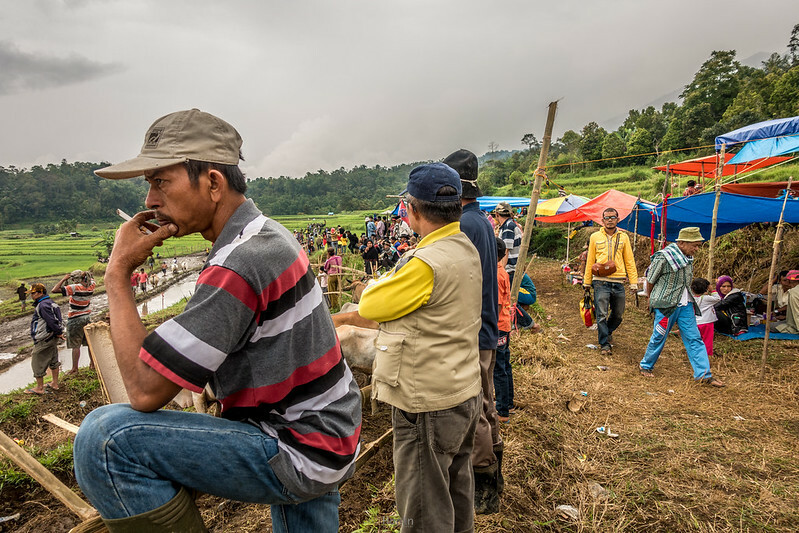 It’s also an opportunity for owners to show off their cows to attending traders. 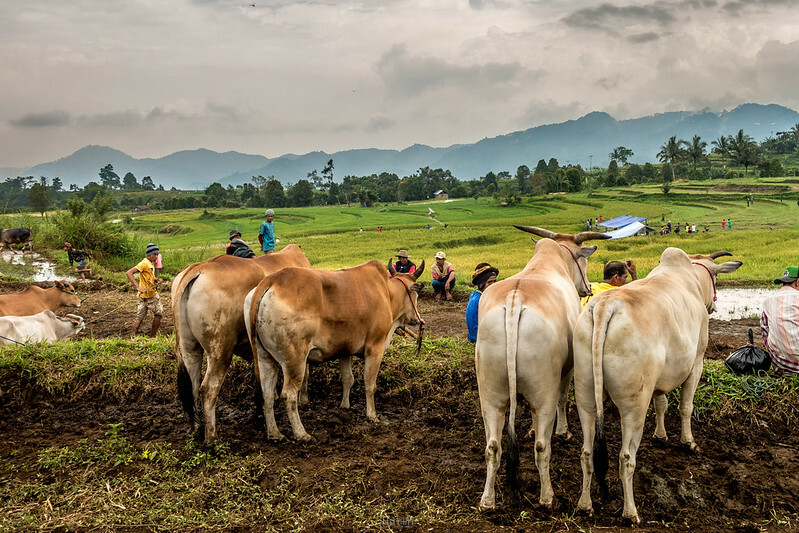 A winning cow may double its selling price and become a source of pride and is a symbol of prestige for its new owner. Reblogged this on babah boim.